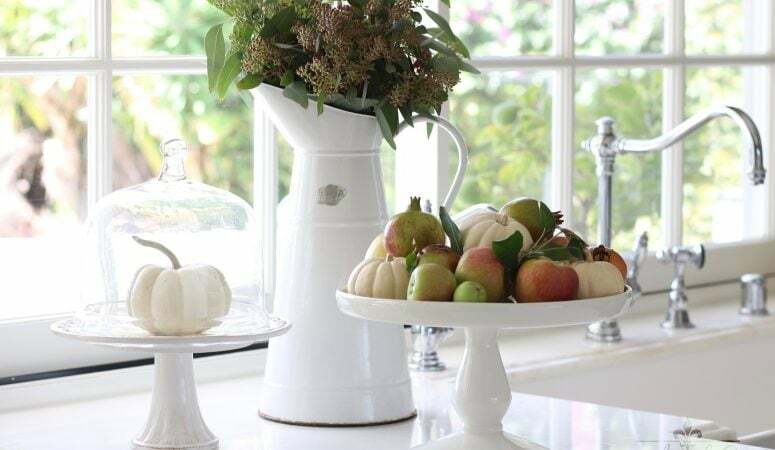 Today I wanted to share with you the neutral fall tablescape I did as my guest post last week! Tablescaping is one of my favorite things to do. 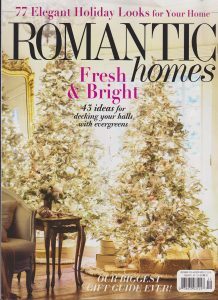 I think because I love having dinner parties and hosting friends, decorating the table has been something that has come about naturally as a part of that. 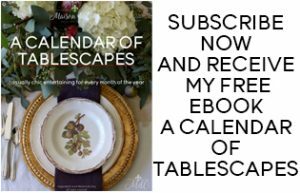 If you struggle with table setting or just love it and are looking for more ideas, you should check out my free e-book which has twelve pretty (and easy!) 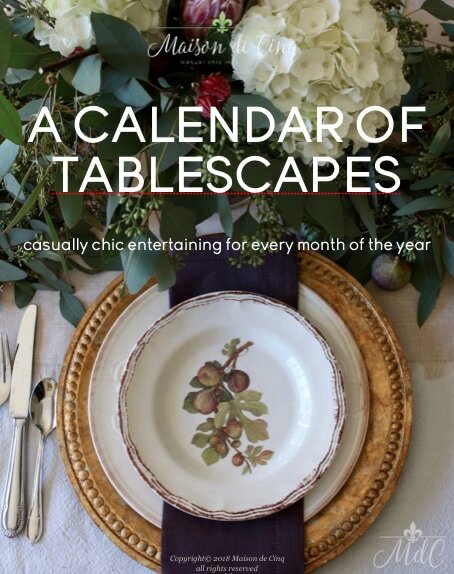 tablescapes – one for each month of the year! 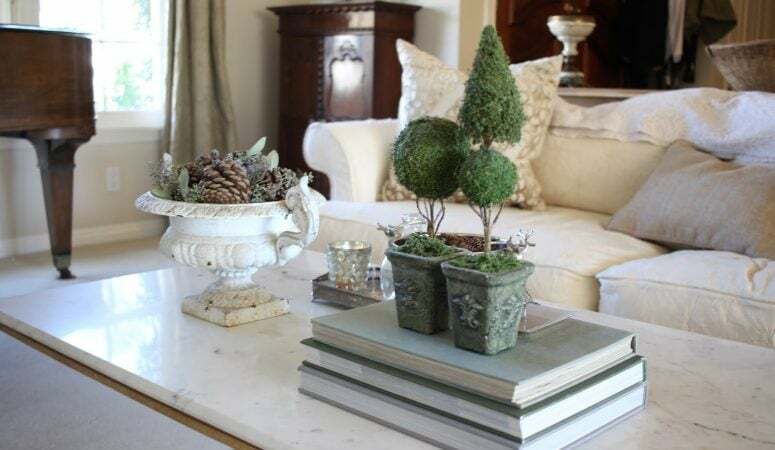 This table was created around these gorgeous green pumpkins I found! 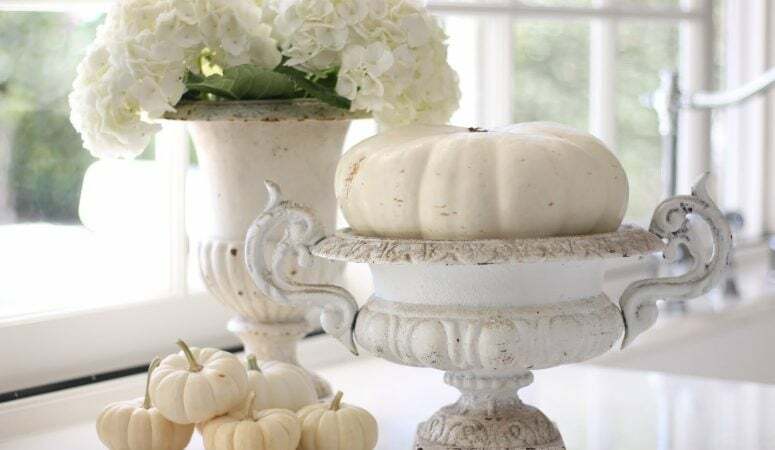 I was inspired to create a table that was soft, and yet still translated that “fall feeling.” This neutral fall tablescape started in my head the day I found these pheasant plates at Home Goods and fell in love. Though I try not to buy too many seasonal dishes, I loved these too much to resist them! One trick that I like to do is to buy one or two new styles of plate each year, but instead of buying a whole set, I buy only the dessert/salad plate. It works really well for me as all of my other dishes are white or cream. 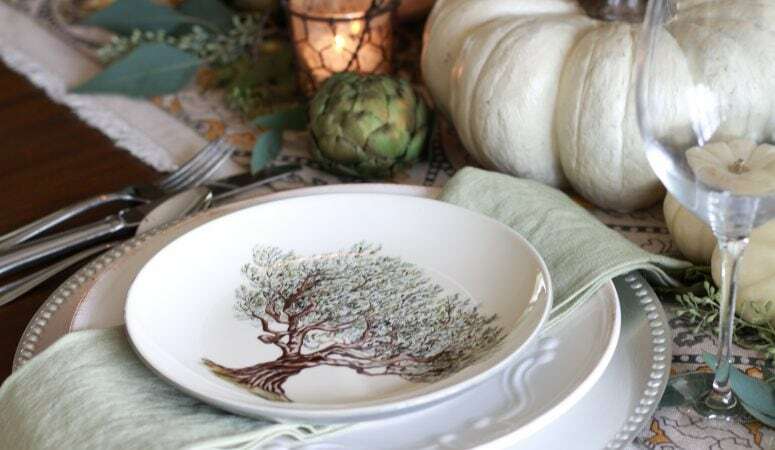 This way I can layer whatever seasonal plate I’ve chosen and mix it in with all of my white dishes and vintage ironstone. 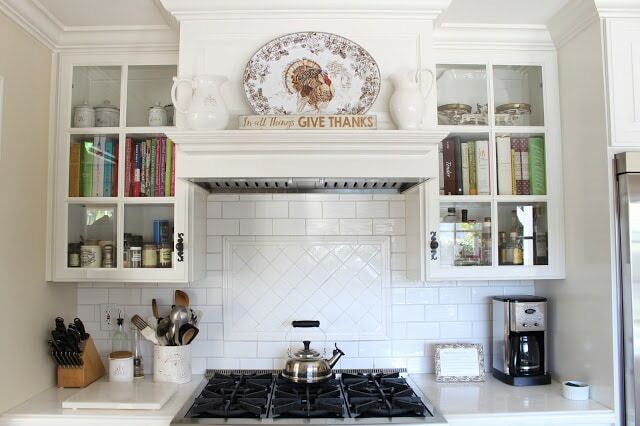 And another plus (at least for me) is that then there are not large sets of dishes to store! It’s pretty easy to store just 8 little salad plates and I love the way they completely change the table. The plates are primarily brown and green, so I chose to emphasize the green and kept the table fairly neutral. I used those white and pale green pumpkins I found, along with seeded eucalyptus and some dried hydrangeas from my garden. This table would be great for an early fall dinner party or event, but it works equally well for Thanksgiving. And if you wanted to add some more traditional fall colors, you could switch out the napkins for brown or rust, and change some of the green pumpkins to orange.